Jilha Parishad Mega Bharti 2019. Maharashtra government recruiting Mega Bharti and Jilha Parishad Recruitment is a part of it. The recruitment process for Jilha Parishad Bharti is started through Mahapariksha online portal. 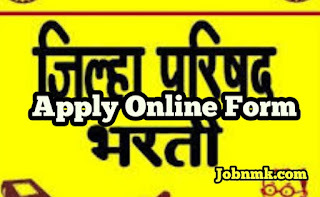 Mahapariksha has on 27th March called application from candidates through online portal. Those Candidates who posses particular post qualification, they can apply form by clicking link as given below. Districtwise Jilha Bharti Vacancy Notification -: Click Here. To download Notification select district and download particular Jahirat. We hope, we have provided a proper information about Jilha Parishad Mega Bharti information to you.